Dr. Ronald D. Schultz, Ph.D..- "Annual re-vaccination provides no benefit and may increase the risk for adverse reactions. The percentage of vaccinated animals (those vaccinated only as puppies) protected from clinical disease after challenge with canine distemper virus, canine parvovirus and canine adenovirus in the study was greater than 95%." 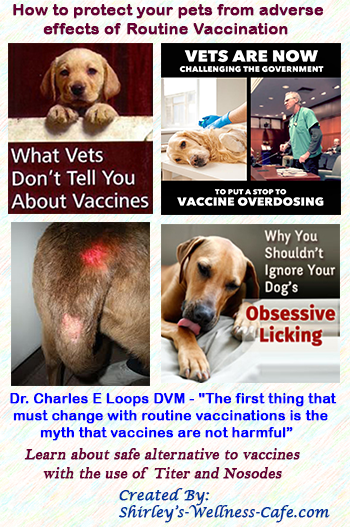 Dr. Charles E Loops DVM - "The first thing that must change with routine vaccinations is the myth that vaccines are not harmful. Veterinarians and animal guardians have to come to realize that they are not protecting animals from disease by annual vaccinations, but in fact, are destroying the vitality and defense systems of these same animals they love and care for. Homeopathic veterinarians and other holistic practitioners have maintained for some time that vaccinations do more harm than they provide benefits. Vaccinations represent a major assault on the animal's immune system. Vaccine induced chronic diseases range from life-threatening conditions such as auto-immune crises to conditions destroying the quality of life of an animal as in chronic skin allergies." Dee Blanco, D.V.M - "You take healthy animals and often very quickly after you vaccinate, you can see simple things like itching of the skin or excessive licking of the paws sometimes even with no eruptions and licking of the air. We see a lot of epilepsy/seizure, often after a rabies vaccination. Or dogs or cats can become aggressive for several days. Frequently, you'll see urinary tract infections in cats, often within three months after their [annual] vaccination. If you step back, open your mind and heart, you'll start to see patterns of illness post-vaccination." 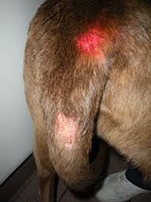 See vaccinosis symptom of severe inflammation of the tail. Dr. Dennis Macy DVM - "We should not allow politics and tradition or greed to enter the decision (on frequency of vaccination). Changing vaccination schedules doesn't have to mean less profit, but that you have more income from some clients and less from others. Veterinarians and the industry need to have guts to be honest with ourselves and assess the risk and not be trapped in tradition." Dr. Christina Chambreau, DVM - "Routine vaccinations are probably the worst thing that we do for our animals. They cause all types of illnesses and harm but not directly to where we would relate them definitely to be caused by the vaccine. Repeating vaccinations on a yearly basis undermines the whole energetic well-being of our animals. Animals do not seem to be decimated by one or two vaccines when they are young and veterinary immunologists tell us that viral vaccines need only be given once or twice in an animal's life. First, there is no need for annual vaccinations and, second, they definitely cause chronic disease. As a homeopath, it is almost impossible to cure an animal without first addressing the problems that vaccines have caused to the animal, no matter what the species." Journal of the American Veterinary Medical Association - Adverse events diagnosed within three days of vaccine administration in dogs study of more than 2,000 cats and dogs in the United Kingdom by Canine Health Concern showed a 1 in 10 risk of adverse reactions from vaccines. This contradicts what the vaccine manufacturers report for rates of adverse reactions, which is “less than 15 adverse reactions in 100,000 animals vaccinated” (0.015 percent). Additionally, adverse reactions of small breeds are 10 times higher than large breeds, suggesting standard vaccine doses are too high for smaller animals. A great number of studies have shown that when you vaccinate an animal, the body's inflammatory cytokines not only increase dramatically, but so do the brain's inflammatory chemicals. Many pet guardians observe changes in a pet subsequent to the first series of animal vaccinations - obsessive licking of painful inflammed paws, lethargy, vomiting, itching, ear or eye discharge, to name but a few. The veterinarian will reassure you that these symptoms are normal. Sadly, for some companion animals, these symptoms worsen and lead to death. For other pets, they lead to a lifetime of health problems. Vaccines are making our dogs sick as vets cash in' Profit-hungry drug companies and vets are 'frightening' dog owners into inoculating their pets more often than necessary, according to Canine Health Concern. Some puppies have developed conditions including autism and epilepsy after a raft of injections, it warns. Dr. Richard H. Pitcairn, D.V.M., Ph.D - "For some readers the very idea that vaccines are anything but wonderful and life-saving may come as a surprise, and it's not a very pleasant one." Dr. Blanco DVM notes that while more and more health care providers become enlightened and refuse to vaccinate their kids and patients, they often forget about their animals. This seminar will be a reminder that the animals are under a huge assault with vaccinations. Dr. Blanco will expose the trade off of using dangerous vaccines against acute disease verses the risk of increased chronic, debilitating disease. She will analyze the dangers of toxic vaccine ingredients such as thimerisol, aluminum and formaldehyde and the related disorders of behavior including ADHD-like tendencies, aggression, seizures, chronic distemper, chronic parvo and chronic rabies. She will also give recommendations for using vaccines in the safest manner (only where required by law), not using vaccines at all or using homeopathic nosodes. Dr. Blanco will show how the historical model of small pox vaccinations and their following diseases gave much information to the homeopathic treatment of vaccine induced illness - the model she uses daily. She will also explore the lack of animal rights in medicine and vaccines specifically. In 1997 Canine Health Concern conducted a survey on 4000 dogs and found that 61.5% of dogs developed liver failure within three months of being vaccinated ,73.1% of epileptic dogs first became epileptic within three months of being vaccinated, 64.9% of dogs with behavioral problems started to be a problem within three months of vaccination. Hypertrophic osteodystrophy causes lameness and extreme pain in young growing dogs, usually of a large breed. Great danes, German shepherds, Dobermans, Detrievers and Weimaraners are examples of breeds that may be affected by this condition. It appears to occur in Weimaraners as a vaccine reaction and this may also affect Mastiffs and Great Danes. In this case, it usually occurs a few days after vaccination and may appear to be worse than the "average" case on radiographs. They usually have painful swellings around the lower joints on the legs. HOD usually shows up as an acute lameness, often seeming to affect all four legs simultaneously. Affected dogs may stand in a "hunched up" stance or refuse to stand up at all. They may have a fever but this is not consistently present. Some puppies will die from this disease, some suffer permanent disability but many recover later. The disease is so painful that many owners elect to euthanize the puppy rather than watch it suffer, despite the reasonably good chance for recovery, long term. Affected dogs may be so ill that they refuse to eat. I get this question more often than I used to: “If I’m not vaccinating my animal against parvo and distemper (or ----) do I need to avoid contact with other animals?” The norm has been for my patients to come to me already vaccinated, so the easy answer, based on duration of immunity, was no, the immunity should persist for “years if not the life of the animal.” Now that people have thought more about the dangers of vaccination, it may be that some are choosing not to vaccinate until later in life (pups at 12-16 weeks old, for example), to be sure the minimum number of vaccines will give long-lived immunity. They may be using homeopathic nosodes remedies before that, or may be opting to not vaccinate at all. What to do for these guys? Keep them in a bubble, away from all exposure to possible disease causing germs? No. That’s impractical, and, unless you have a strictly indoor cat, not much fun. The goal is to have an immune system that can defend the animal against exposure to parvo, canine or feline distemper, kennel cough, FeLV, strangles, flu, Rhino, etc. If you opt to have the strongest defense system possible without the risks that vaccines confer, use the preventative program that keeps the disease resistance strong safely and efficaciously, and without risk to the animal. That, in my opinion, is daily dosing with the Animal Health supplements utilizing a product that boost the immune system, coupled with excellent nutrition should be an adequate support. Question to Dr. Falconer:: does vaccination (or over-vaccination) causes overactive immune reaction (autoimmune disorder) or does it cause suppression of the immune system? Dr. Will Falconer D.V.M: "The answer is YES. Probably both. Vaccination *confuses* the immune system, as I point out in my heart` worm eBook. So, it could go either way, or alternate over time between the two. 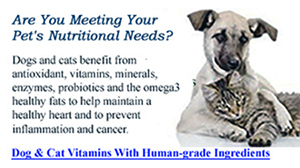 There is a natural nutritional product that help support the animal's immune system. A healthy immune system is capable of helping the body heal itself. 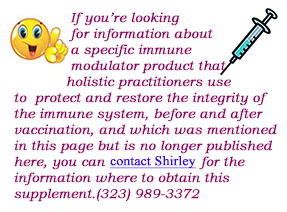 This immune supplement should be given before and immediately after vaccination for at least a few weeks to help ameliorate the confusion (when someone is faced with a mandatory vaccination, or has decided they want to give one) and protect the integrity of the defense system. " World-renown vaccine research scientist and practicing veterinarian, Dr. W. Jean Dodds of California, and pet vaccine disclosure advocate, Kris L. Christine of Maine, have established The Rabies Challenge Fund to raise money to fund a 7 year rabies vaccine challenge study in the United States. Many dog caregivers across the country are becoming more and more aware of the possibility that over vaccination can have harmful effects on dogs - and the rabies vaccine is no exception. The incidence of rabies exposure in companion animals and humans, though very low today, still remains a distinct possibility. Consequently, the Federal and state governments require every dog to be vaccinated triennially (still even annually or biannually in a few states) against rabies. However, the veterinary community is increasingly concerned that rabies vaccination given this frequently is not only unnecessary but also responsible for inducing adverse reactions that lead to both acute and chronic immunological and other disorders. Although a French medical study completed in 1992 showed that rabies vaccine is protective for at least five years, Federal and state legislatures have not accepted this finding. Thus, the health and well-being of millions of dogs in the United States remain threatened by the potential for adverse vaccinial events. In her story, A Cat, a Bat and Rabies Vaccination, Kimberly Roush writes that the risk of side effects from the vaccines is frightening, but nothing is a scary as the state coming to confiscate your cat and possibly chop off his head. This summer, in Utah, there were at least 3 stories in the news of cats having had some contact with bats that were only overdue for a rabies vaccines. All of the cats were put to sleep as no one was willing to pay for the cost of a 6 month quarantine. I believe over 300 animals in Utah were put to sleep in 2007 because of bat encounters and lack of or late vaccines.
" All mandatory rabies vaccination programs are colorable law, in that they have been passed and mandated upon the pet owning public by certain vested interest groups. Who are these groups? First and foremost are veterinarians, in general, and veterinarian medical organizations. Second are the local animal control personnel, bureaucrats and politicians. What are their reasons? GREED, POWER AND CONTROL. 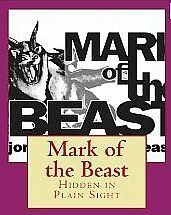 Both these large powerful interest groups stand to benefit greatly by having rabies mandated by colorable law." "Veterinarians receive a large percentage of both their gross income and profit from vaccines given in the office. On average vaccines cost 60 to 95 cents per dose and are charged to the client at $15 to $25 per injection and substantially more in the large cities. Therefore, if veterinarians lobby to have a colorable law passed to give rabies vaccine every year that enhances their financial picture." Recent editions of the Senior Dogs Project's newsletter have reported on the ever-broadening trend of eliminating vaccinations for adult dogs, except for rabies, where required by state law. We have now had a report that all 27 veterinary schools in North America are in the process of changing their protocols for vaccinating dogs and cats. Here, in a nutshell, are the new guidelines under consideration: "Dogs and cats immune systems mature fully at 6 months. If a modified live virus (MLV) vaccine is given after 6 months of age, it produces immunity, which is good for the life of the pet (i.e., canine distemper, parvo, feline distemper). If another MLV vaccine is given a year later, the antibodies from the first vaccine neutralize the antigens of the second vaccine and there is little or no effect. The titer is not 'boosted' nor are more memory cells induced. "Not only are annual boosters for parvo and distemper unnecessary, they subject the pet to potential risks of allergic reactions and immune-mediated hemolytic anemia. There is no scientific documentation to back up label claims for annual administration of MLV vaccines. Puppies receive antibodies through their mothers milk. This natural protection can last 8-14 weeks. Puppies and kittens should NOT be vaccinated at LESS than 8 weeks. Maternal immunity will neutralize the vaccine and little protection (0-38%) will be produced. Vaccination at 6 weeks will, however, delay the timing of the first highly effective vaccine. Vaccinations given 2 weeks apart suppress rather than stimulate the immune system. A series of vaccinations is given starting at 8 weeks and given 3-4 weeks apart up to 16 weeks of age. Another vaccination given sometime after 6 months of age (usually at 1 year 4 months) will provide lifetime immunity." Chrissie Mason B.R.C.P., Ph.D. - "I am becoming seriously concerned at the increase in the cases of Auto-immune disease, and the Canine/Feline vaccination program which I consider to be inextricably linked. Certainly, I do not stand alone in holding these views, as a number of Orthodox Veterinary Practitioners have expressed their concern over the incidence of certain types of illness suddenly appearing after immunizations have been administered. Often these are severe skin disorders, gastrointestinal disturbances, sickness and colitis symptoms, all of which have been observed and recorded. A further occurrence observed by some Veterinarians is that of a tumor or growth appearing directly on or around the sight of the annual injection, this is particularly noticeable in the feline world, and can take the form of fibrosarcoma. Indeed, the list of symptoms that can be linked with the over exuberant immunizations appears endless: warty growths, tumors of both malignant and benign type, seizures, skin problems, bone and joint disorders. In America the Veterinary Immunologists claim that vaccinations should only be given once or twice during an animal's life time. There is no need or evidence to prove that annual vaccination programs are either essential or effective. On the contrary research suggests that no dog over the age of 7 years of age derives benefit from the annual vaccine schedule. Furthermore, those animals submitted to the annual boosters, go on to display exacerbation of joint related ills in later life." The leptospirosis portion of the DHLPP (distemper) vaccine for dogs has a reputation for being the most likely portion to cause vaccine reactions. This is largely because of the size of the organism. (Most vaccine is directed against viruses that are barely bigger than complicated molecules. The leptospirosis organism is a bacterium, meaning it is enormous and more complicated than any virus. The more complicated the organism, the more likely the reaction. That said, in the aforementioned study of over one million dogs, the leptospirosis vaccine was not found to be more likely to cause a reaction. This may be because of improved vaccine technology and using only portions of the organism rather than the entire bacterium. Other leptospirosis vaccine may not be as well produced as the one that happened to be used in this study so, as a precaution you can request that this portion be left out of your dog's vaccine.) The Lyme disease organism is also a bacterium as is the periodontal vaccine (the Porphyromonas vaccine). Again, larger vaccine organisms tend to produce more reactions. Allen M. Schoen, D.V.M., M.S. - "As far as prevention goes, this is a sticky wicket. There is a great deal of controversy concerning the dog Lyme vaccine. There is a great debate about how well they actually work as well as potential side effects. There are publications concerning its safety, but the researchers only look 24 hours after the vaccine reaction. Research at Cornell University veterinary school brings up some suspicion that there may be potential long term side effects of the vaccine, though nothing is certain. These side effects may vary from rheumatoid arthritis and all the major symptoms of Lyme disease to acute kidney failure. Though nothing is definitively documented, I personally am very cautious and do not recommend vaccinating for Lyme disease even though it is so epidemic here. Many veterinary schools and major veterinary centers do not recommend the vaccine for the same concern regarding potential side effects. I have seen all the symptoms of Lyme disease in dogs four to eight weeks after the vaccine and when I sent the western blot test to Cornell, it shows no evidence of the disease, only evidence of the dog having been vaccinated, yet the dog shows all the classic symptoms of the disease. There is a new dog vaccine out that claims that it does not have any of the side effects, however, I still remain cautious and will wait for a year or two to see. I personally would rather treat my dog for Lyme disease rather than risking the potential side effects of the vaccine. In addition, there is a question of actually how well it works. 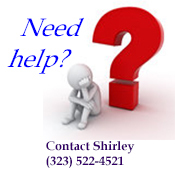 Until more safety and decreased risk of side effects and efficacy are demonstrated, I recommend holding off." Vaccines; Good Medicine or Bad Advice? Homeopaths have referred to vaccine induced problems as "vaccinosis" for decades. From my experience and that of others, I say without reservation that many chronic diseases are caused by vaccinations. I often find that a health problem began shortly after vaccination. I am certain this is no coincidence. Fortunately, homeopathy can help. Unfortunately, vaccines are a BILLION dollar industry and vets make a large part of their income from them. Despite the new findings, there is no move to reduce vaccine use. Most use the excuse that they don't want to be sued should an animal become ill. Another rationalization is that some pets are not protected despite vaccination therefore, it is best to vaccinate every pet to be safe. If vets knew how much damage they were doing, I believe most would change. There is too much power and money promoting more vaccines. Vets are inundated with sales people, advertisements and marketing materials telling them how important and lucrative vaccines are. Dr. Richard H. Pitcairn, D.V.M., Ph.D - "In the process of training as a doctor or veterinarian, one goes in as a relatively naive young person. The conditioning is heavy; it costs a lot of money, and of course you want to do well. Students are told how wonderful vaccines are, and they don't really question it; they accept as a fact that they're these great boons to health, are never harmful, and have saved a lot of lives—it's black and white. The companies making the vaccines have great amounts of money and influence to campaign and advertise. You have a situation on the one hand where doctors are conditioned to accept, and on the other hand companies powerful enough to squelch negative comment." Dr. Driston Sherman, DVM - " When I was doing primary allopathic medicine, I saw two things. One is that within an hour after the vaccination was given, the animal was having trouble breathing or may have had redness of the skin. The other thing I saw quite often was usually about twelve to twenty-four hours after being vaccinated, animals with fever, loss of appetite, sleeping a lot, sometimes vomitting or diarrhea. Most of those cases usually took care of themselves without any intervention within twenty-four hours. Now that I'm doing holistic medicine, it's really intriguing to look at the medical histories of animals. One case that comes to mind is a cat with a history of these horrible-looking sores that occurred exactly 30 days after being vaccinated - two years in a row. You may want to call that coincidence. I have my suspicions but I can't say , for sure, what caused these conditions, which is very frustrating." Without some driving force for change, there is no motivation for the industry to change the most lucrative part of its practice. Many vets cling to annual vaccine schedules because of economic dependence more than maintaining a “cautious” standard of care. This is particularly true for the typical small vet practices (1-3 people, non-specialty, non-emergency practices). Consider this… One dose of rabies vaccine costs the vet about 61 cents. The client is typically charged between $15 and $38, plus a $35 office visit. The markup on the vaccine alone is 2,400 percent to 6,200 percent—a markup equivalent to charging $217 for a loaf of bread. According to one estimate, removing the one-year rabies vaccination and consequential office visit for dogs alone would decrease the average small vet’s income from $87,000 to $25,000—and this doesn’t include cats or other vaccinations. According to James Schwartz, author of Trust Me, I’m Not a Veterinarian, 63 percent of canine and 70 percent of feline vet office visits are for vaccinations. Clearly, radically changing the vaccine schedule for dogs and cats would result in a huge economic loss for any veterinary practice that is built around shots. And chances are the vaccines you are paying so much for are creating even more income for vets, because the adverse reactions and other medical issues caused by the vaccines keep Fluffy coming back often! The profits for vets pale in comparison to the profits being enjoyed by vaccine manufacturers. Veterinary vaccine sales amounted to more than $3.2 million in 2004 and have risen 7 percent per year since 2000. This figure is projected to exceed $4 billion in 2009. Six companies account for more than 70percent of world veterinary vaccine sales. The market leader is Intervet, with sales of almost $600 million in 2004. That’s a whole lot of 61-cent vaccines. The United States has by far the largest share of the national market with revenues of $935 million, and Japan comes in second with $236 million. My pug, MuShu, almost died twice from routine vaccinations. MuShu had always been vaccinated and given her booster shots since she was 8 weeks old. I had done everything my vet had told me to do. After all, I love my dog and wanted her to have a healthy happy life. When MuShu was 5 yrs. old, I took her in for her routine vaccines. I live about 5 min. from my vet clinic and by the time I got home with her and got into the house, she was scratching herself like crazy. Even dragging her tummy across the floor and rolling all around. When I looked at her closer, I saw she had developed hives all over. She then got up to come to me and could not walk in a straight line. She vomited and fell over and could not get up. I grabbed my keys and MuShu and threw her into the car. We practically flew back to the Vet clinic. I ran into the office and yelled "my dog is dying!". The vet tech came out and grabbed her from my arms and went into the back with her. I was hot on her heels as I was not going to let her out of my sight. The Dr. came in and administered some benadryl and told me to stay with her and watch her. They came in and checked on her every 5 min. or so. After about 1 hour. it seemed the crisis was over and she was becoming her old self again. I asked the Dr. what on earth had happened and he said she had a reaction to the vaccine she was given. When I asked him if it would ever happen again, he said probably not. Little did I know. About 6 mos. later, it was time for MuShu to have her Rabies vaccine. This is required by law and I thought I had to comply. I reminded the Vet about her reaction to the last shots and her told me that there was no way she would have the same reaction because it was a different shot and carrier in the shot. With his reassurance, I got MuShu the shot. She seemed fine at first but after about an hour later, I saw the hives and the itching starting all over again. This time the Vet came over to my house and gave her some benadryl and stayed to watch her recovery. I have since learned that, armed with a letter from my vet. I no longer have to get her any vaccines as she is exempt due to severe reactions. I will never get her another vaccine again. I keep her healthy and strong by feeding her a raw food diet and giving her a unique supplement to keep her immune system strong. I also have another dog, a cat and a horse. 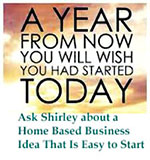 All are given the best diet I can give them and the natural immune enhancing supplement. I do have to give my new dog Rabies shots, however they are followed up with a homeopathic remedy to lesson any side affects. This is an important book for every pet owner to read. In a conversational, direct, non-technical voice it guides the reader in formulating an intelligent approach to animal vaccinations. 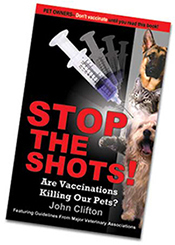 Clifton lays out all the major issues: whether to vaccinate or not, which shots to give and which to avoid, how to know if and when a shot should be repeated. And, importantly, the risks in over-vaccinating. Holistic as well as orthodox medical opinions are presented. Despite the title, readers are not advised flat out to abandon vaccinations. Rather, they are encouraged to learn about the risks and benefits - and "stop the shots" until they are fully informed. 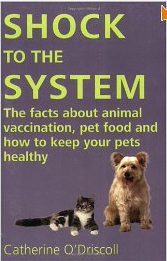 This book tells you: all you need to know about vaccinating and NOT vaccinating your pet. It is imperative that veterinarians educate their clients concerning the associated risks of vaccines. 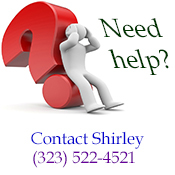 Pet owners need to make educated decisions regarding the care of their beloved pets. Standardized handouts describing the benefits and risks of vaccinations are warranted and should be distributed by veterinarians to all animal lovers. In addition, standardized vaccination waivers should also be available for caretakers whose animals are prone to adverse reactions. This also applies to animals with chronic health conditions to insure that caretakers are not penalized for taking the necessary medical precautions. Truth in Labeling law for Rabies vaccines is a must . Unbeknown to many animal lovers, and with the USDA's approval, some three-year rabies vaccines are relabeled and used as one year products. Pet owners are generally unaware of the fact that their animals are being over-vaccinated by receiving a full three-year dose every year. The government, in cooperation with the veterinary professional community, should enact and enforce a "standard" set of administrative guidelines concerning: a). the frequency and location of any vaccination and b). accurate record keeping for both feline and canine vaccinations; taking into consideration each animal's lifestyle, health and age. Veterinarians should then be held accountable to this "standard of care". 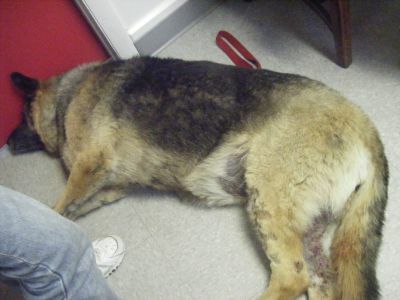 Recently, my sweet, healthy, 11-year-old German shepherd died of autoimmune hemolytic anemia. He had no problems until after his annual Lyme-disease booster. Within a couple of weeks after that shot, he worsened slowly and continually. Despite expert medical attention (including transfusions), we couldn't save him. 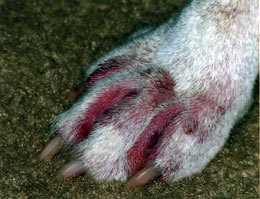 Canine autoimmune hemolytic anemia. (AIHA) is a disease characterized by increased destruction of red blood cells (erythrocytes) by the dog's own defense system. Though much attention has been given recently to AIHA due to evidence linking the process of vaccinating with the manifestation of this sometimes life-threatening disease, immunization is only one potential cause for this condition. My dog Arnie had been given up on by the vet. He had acute anemia, a disease characterized by increased destruction of red blood cells (erythrocytes) by the dog's own protection system, and quite honestly we were making arrangements for his funeral. After one week on a unique supplement to support his immune system, we noticed a dramatic improvement. Three months later, after finishing the entire course, Arnie is doing so well that he no longer needs the immune supplement . Homeopathic veterinarians and other holistic practitioners have maintained for some time that vaccinations do more harm than they provide benefits. Vaccinations represent a major assault on the body's defense system. Attenuated organisms or chemically killed viruses or bacteria are injected directly into the blood stream, an unnatural route of infection. This profound insult, avoiding the body's first line of defenses, and flooding the system with millions of organisms or viral particles, stresses the immune system in a way not of natures design. This insult causes irregularities and abnormalities in the disease resistance system which then manifests as chronic diseases in animals. These chronic diseases range from life-threatening conditions such as auto-immune crises to conditions destroying the quality of life of an animal as in chronic skin allergies. What we are now seeing are generations of over-vaccinated animals and these current offspring are suffering the penalty of this medical abuse. In an attempt to control a naturally occurring process of population control and survival of the fittest, the medical establishment has convinced people that mass inoculations are for the good of all, overlooking the health of the individual. Where vaccinations have helped in eradicating or reducing the incidence of severe, acute disease processes, the result has been to plague humanity with more insidious, chronic diseases that are much more difficult to treat and that lower the quality of life for many individual animals and people. In all of this, there needs to be BALANCE, and the following are my recommendations for vaccinating or not vaccinating and some comments about diet. 1. Puppies under three months of age should not be vaccinated. Vaccinations are much more stressful on the underdeveloped immune system. Also, these vaccinations are much less effective at providing immunity before three months of age. If you feel you must vaccinate, do so with one vaccination of Distemper at three months, followed by a vaccination for Parvovirus at four months of age, and stop with that. If you can't find a single Distemper vaccine use the Distemper-measles combination. Use killed vaccines only. 3. Puppies and kittens can be given homeopathic nosodes beginning at three weeks of age, if there is a potential for exposure to Distemper, Parvovirus, or Panleukopenia. These nosodes can be used until vaccinations are given or continued periodically for the first year of life, if vaccinations are not given. Common sense should be used in avoiding exposure of very young animals to other, possible unhealthy, animals of the same species. 4. Booster vaccinations are completely unnecessary. Studies are now showing that these vaccinations are effective for many years and most probably for life. Vaccinated animals do not need any boosters. Homeopathic nosodes can be given periodically if you are concerned or if you think your animals live a high risk, life style. 5. Rabies Vaccinations should be given as dictated by state laws. Lyssin, the homeopathic nosode, should be given within a few hours after the vaccination. Clearly, the rabies vaccination is effective for many years more than state laws require booster vaccination. 1. Puppies under three months of age should not be vaccinated. 2. Kittens should only be vaccinated for Panleukopenia and not before three months of age. 4. Booster vaccinations are completely unnecessary. 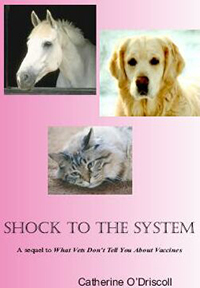 'Shock to the System by Catherine O’Driscoll is a sequel to 'What Vets Don't Tell You About Vaccines'. It covers the latest information on the vaccine issue, and puts the other pieces of the puzzle into the picture. Diet, environmental toxins, pharmaceuticals and stress all play a part in the health of companion animals. This book will make you cry and aware of the scam that is the mainstay of the veterinary field. It is well researched and written. The truth about the terrible suffering of pets and their owners and what can be done to protect your animals from the drug companies and ignorant vets. This information can save your animals and give you the facts to present to your vet if he/she does not keep up with current science. A must for anyone who loves animals and wants to keep them safe and healthy. Catherine O'Driscoll is the founder of Canine Health Concern in the UK. Canine Health Concern offers a certified study program – the Foundation in Canine Health care – to help you to take good care of your dogs. 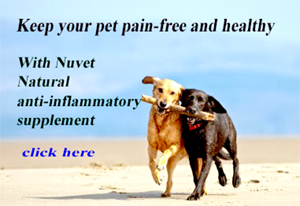 This program also has another aim, and this is to build a worldwide network of Animal Advocates – people who understand the scientific and experiential facts about canine health care, and who are not influenced by the advertising propaganda of big business. Canine Health Concern’s educational program is based upon ten years of research; our work is sufficiently credible to be featured in a prime time TV documentary – World in Action. Catherine O’Driscoll’s book, ‘What Vets Don’t Tell You About Vaccines’ is an official best-seller that forms the basis of continuing research in the scientific and veterinary communities. Since 1994, Canine Health Concern (CHC) has been exposing the truth about the influence of big business on your pets, so that your dogs can live long and healthy lives. A practice that was started many years ago and that lacks scientific validity or verification is annual re-vaccinations. Almost without exception there is no immunologic requirement for annual revaccinations. Immunity to viruses persists for years or for the life of the animal. Successful vaccination to most bacterial pathogens produces an immunologic memory that remains for years, allowing an animal to develop a protective anamnestic (secondary) response when exposed to virulent organisms. Only the immune response to toxins requires boosters (e.g. tetanus toxin booster, in humans, is recommended once every 7-10 years). And no toxin vaccines are currently used for dogs and cats. Furthermore, revaccination with most viral vaccines fails to stimulate an anamnestic (secondary) response as a result of interference by existing antibody (similar to maternal antibody interference). The practice of annual vaccination in our opinion should be considered of questionable efficacy unless it is used as a mechanism to provide an annual physical examination or is required by law (i.e., certain states require annual revaccination for rabies). "This morning I ran into a frantic lady, who recently lost her 5 yr. old dachsie, (died of complications due to back paralysis), which she claimed was due to having her dog vaccinated for rabies every year. She said she once worked for a Vet, and said she also had pamphlets that claim many vets over vaccinate these small dogs for the sake of making extra $$$$. She also said this breed is far too small to intake yearly vaccinations and this will eventually paralyze them as it did hers."